The Khazanah Megatrends Forum (KMF) has become one of the highlights of the year at Khazanah. Held annually preceding Khazanah’s strategy and business planning cycle, KMF brings together experts and thought leaders to discuss the main Megatrends, as well as to address topical matters of interest. The Forum enters its 14th annual installment in 2018. It will continue to be a platform for the gathering of Malaysian corporate leaders, policy makers, think tanks and practitioners from the public and private sectors as well as civil society. It is well attended by over 500 senior leaders. Participation in the Khazanah Megatrends Forum is by invitation only. 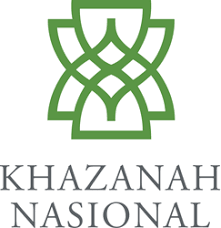 The Khazanah Research Institute is a not-for-profit organisation sponsored by Khazanah Nasional Berhad. The objective of the Institute is to undertake analyses and research on the pressing issues of the nation and, based on that research, provide actionable policy recommendations. Khazanah Research Institute started its operations in 2014.